I have just come back from Belize, where I baked under the sun and drank fresh juices for seven days. The villages are reminiscent of my own neighbors and the skin tones similar. There are urban marts with people standing outside them. Residents walk past or ride their bicycles and there is an abundance of families everywhere. Fresh coconuts are cut up roadside to serve as refreshment and sofas prove useful as an outdoor seating option. I do not believe all Central Americans to be the same; however, I took comfort and curiosity in seeing familiarities to my own neighborhood in Providence. I came home to the news, most of which I ‘d been gleefully ignoring while away: The Deferred Action of Childhood Arrivals (DACA) Program had been added to Congress’s chopping block. DACA was signed into law in 2012 by President Obama. It aimed to protect college bound, undocumented young adults from deportation.While it’s stated there are over 800,000 DACA recipients in this country currently, Rhode Island’s numbers hover somewhere around 1,200. Under the Trump Administration, only 250 qualify for DACA renewal. Otherwise, they and the 3.6 million Dreamers in this country are facing deportation to their country of origin. Ironically, while it may be their country of origin, some do not speak the language or know a single person living in that country. The strength of my argument is formed directly by the U.S. government’s words. Dreamers and DACA recipients are the children of immigrant parent brought here when they were very young. They grew up in this country and have resided here most of their lives. They went to American schools, where they took Civics and learned all about how we are a country built on the backs of immigrants. DACA recipients apply for financial aid and attend college just like other young Americans. Dreamers and DACA recipients aspire to take hold on their own American Dream in the future. If we hold the words written by the Department of Homeland Security to be true, then these young adults encompass all qualifications necessary to become a naturalized citizen of the United States. Dreamers, DACA recipients, their parents and all immigrants bring great value to our America. If tribalism prevails, Americans lose so much. Our culture and food become whitewashed and our mentalities one-dimensional. The curiosity of witnessing and taking part in different cultures disintegrates fear and promotes learning. A week in Belize made me remember this. Before the trip, I feared poverty and danger but upon my arrival, I met a friendly nation with beautiful scenery, delicious seafood and a love for the Boston Celtics. I was also reminded about how a culture shapes an identity. 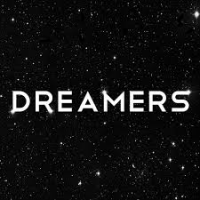 Dreamers and DACA recipients are Americans and it should be carefully noted that shall they be removed, their talents would also go elsewhere. My research into our Constitution and its Amendments has proven our lack of focus. Are the words of our Constitution mere bloviations or are they meant to be followed? Those living in this country have protections through our Amendments, especially the Fourteenth and we ought to be paying attention.